Dr. Marquet is founder and co-Chair of Ajinomoto Althea. She was co-President and CEO of Althea Technologies for ten years. Dr. Marquet is also founder and co-Chair of Althea Dx, a spin-off of Althea Technologies focusing in personalized medicine and companion diagnostics development. Dr. Marquet has over twenty five years of experience in the biotechnology industry in the United States and Europe. Prior to starting Althea, she held management positions at Vical Inc., Amylin Pharmaceuticals, Protein Polymer Technologies, Syntro Corporation and Transgene. Dr. Marquet is Chairman of BIOCOM and a member of the Board of Directors of the UCSD Moores Cancer Center. She is also a member of the UCSD Biological Sciences Dean Leadership Council. Dr. Marquet is an active angel investor, having provided early stage funding and advice for over twenty San Diego companies. She serves as a Board member for Sente, Portable Genomics and she is a Board observer for Independa. She is also co-Chairman of the Advisory Board of MD Revolution. Dr. Marquet holds a Ph.D in Biochemical Engineering from INSA/University of Toulouse, France. Dr. Marquet has received numerous awards throughout her career. 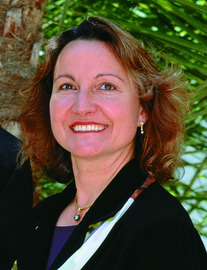 She was the winner of the 2005 Regional Ernst&Young Entrepreneur of the Year award in the Life Sciences category, the Athena Pinnacle award , the Most Admired CEO award from the San Diego Business Journal and while leading Althea Technologies, received several Best Companies to Work For awards from the San Diego Business Journal.